How do you market your newly opened pizza shop? Do you own a pizza shop in Melbourne and are looking to market your business? Once your reputation has been established, your business should continue to grow due to referrals from satisfied customers and you will need to spend less time and money on marketing. If your business is new or you haven’t yet reached your potential capacity and profitability, successful marketing can encourage more customers to come to your business, but it also can be costly. To effectively market your campaign, you need to assess what you’re spending against your return on investment. Think about who are your customers and what type of information can be provided to attract your target market. 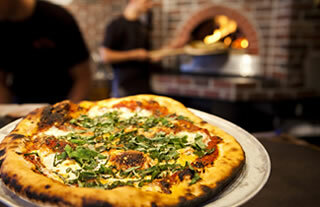 Menu distribution is a great way to promote your pizza shop. Most pizza shop owners promote deliveries within a 3-4km radius of their shop. This is usually around 20,000 homes. Maps can be provided free of charge. Do you make a good pizza? Be sure to include pictures of your pizzas on your menus. Full colour menus work best. Refer to our printing prices. Refrigerator Magnets – Unlike business cards that get lost or thrown out, they find themselves stuck on the fridge. So, whenever a customer looks into their refrigerator and either finds it empty or the contents unappealing, your magnet will give them an instant alternative and an easily accessed phone number. A well marketed business will be profitable, continue to thrive and stand out from competitors and remember to include your web address on all printed material. Call our friendly team at Independent Letterbox today to discuss your ideas further.